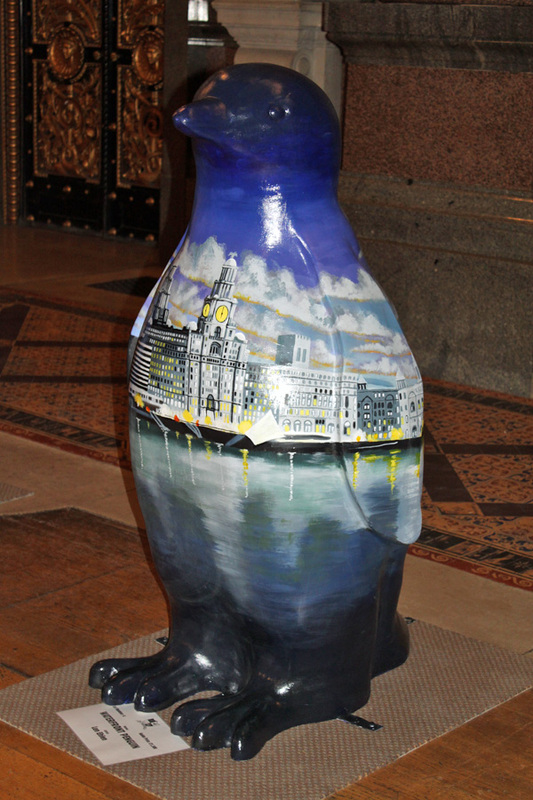 I had hoped to post a gallery of Go Penguin photographs I took after work tonight in St George’s Hall Liverpool as sixty of them are displayed before being put up for auction later in the week. Photoshop doesn’t seem to want to do the image processing automatically so I’ll have to go through them and do them one at a time myself. If you’re in Liverpool Thursday 4th February they’ll be on display from 8:30AM to 8PM. Well worth a visit to look at the hall (which I got some good photos of too) as well as the penguins.